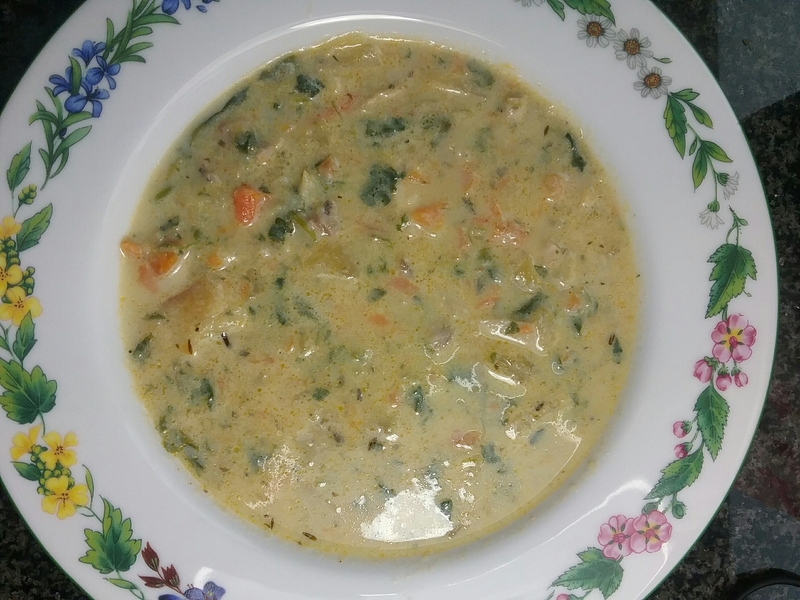 Roasted vegetables, watercress and chicken soup | Jo's food bites. I always make this type of soup using leftovers. When I make a roast dinner or a dish involving roast vegetables I ensure there are some leftover to make soup the next day. Perfect if the roast was chicken as the scraps can be added to the soup and the carcass can be boiled / simmered to make a nutritious stock. So, to a few leftover roasted vegetables – including potatoes – I add a bag of watercress and pint of stock. I simmer this for 10 minutes, blitz and then add the chicken scraps. Quick. Easy. Delicious. You are totally inspiring soup vibes lately! I’m loving it ♡. Thank you love!